The good news is that doing a century ride is something that nearly everybody is capable of. With the right mindset, commitment, and training plan, a century ride can be almost easy. (Almost). Here are 7 tips to help you train for a century, as well as a super simple 12 week century training plan. Legal Dislaimer: Always consult your doctor before starting a new exercise plan. Yes, you can train for a century ride in as little as three days per week. That doesn’t necessarily mean that you should skip exercising the other days of the week–try walking, running, swimming, or yoga-ing (more on that later) on the days that you’re not biking. Ideally, you’ll do your bike training on non-consecutive days. Tuesday, Thursday, Saturday, for instance. But, realistically I know that some of you will have to do both Saturday and Sunday to fit in the rides you need to do. That’s okay–work with the time and the schedule that you’ve got. If you are really struggling to find the time to fit in three bike workouts per week, keep in mind that you can do your interval training as part of your bike commute, or on the trainer before everybody else has gotten up for the day. Pick the event that you want to do and start training about three months out. This assumes you’re already in semi-decent shape and ride your bike a bit. 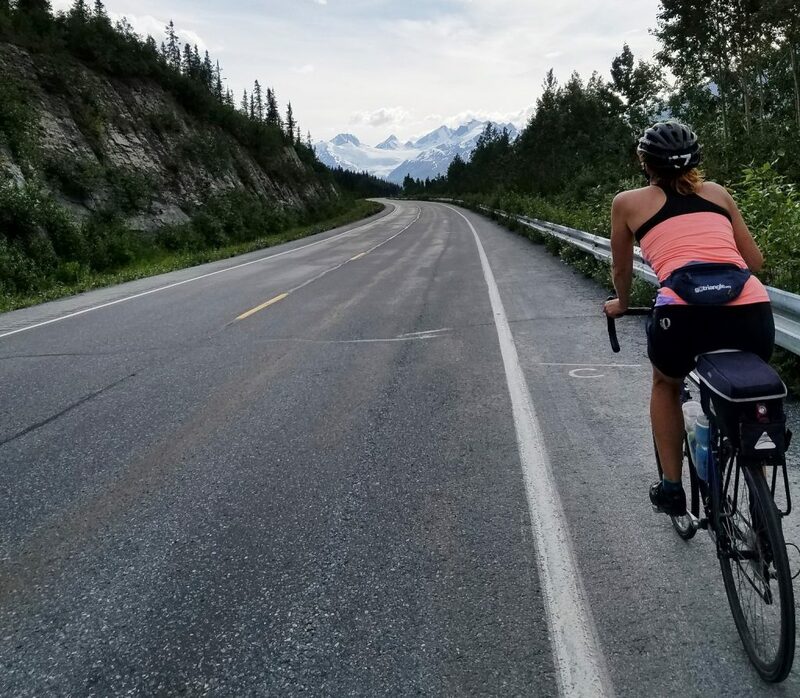 If you already ride your bike several times a week, are in good shape, and just want to up the mileage, you can do an 8 week training plan instead. Start on week 5 of our training plan instead of week 1. For the strenuous interval day, choose one of the following workouts. 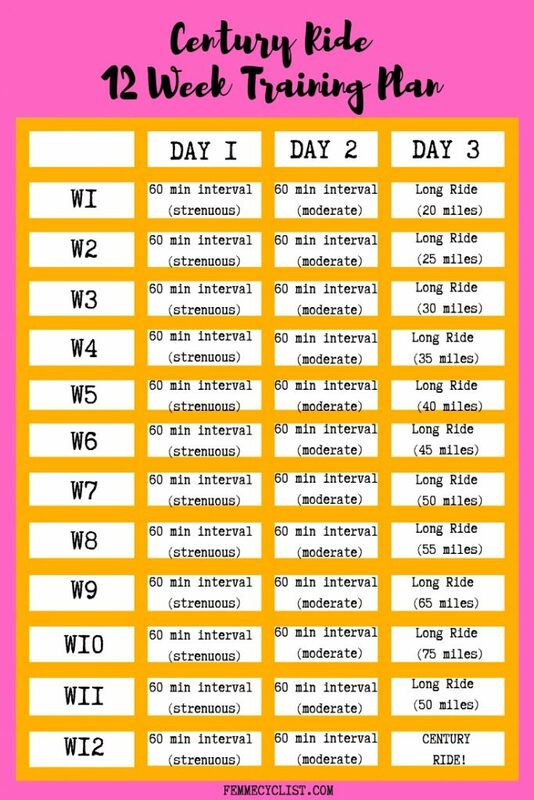 You should be doing these intervals as hard as you can. For the moderate interval day, choose on of these. You should be breathing hard and sweating hard but not going at maximum intensity. Remember, as often as possible, these workouts should be done on non consecutive days. Having a support system around you can help a lot when it comes to training for a century. You’re less likely to skip a ride if you know somebody is waiting for you, and you can also pass the miles a lot more enjoyably if you have someone to chat with. If you can find a training partner, awesome! You can follow the same training plan and follow the same workouts. This is an ideal, but not always realistic plan. Most people will end up doing their interval training rides solo. Which is fine….you should be working at a hard enough heart rate that it’s hard to chat anyhow. Where having riding partners really help are on your long weekend rides. 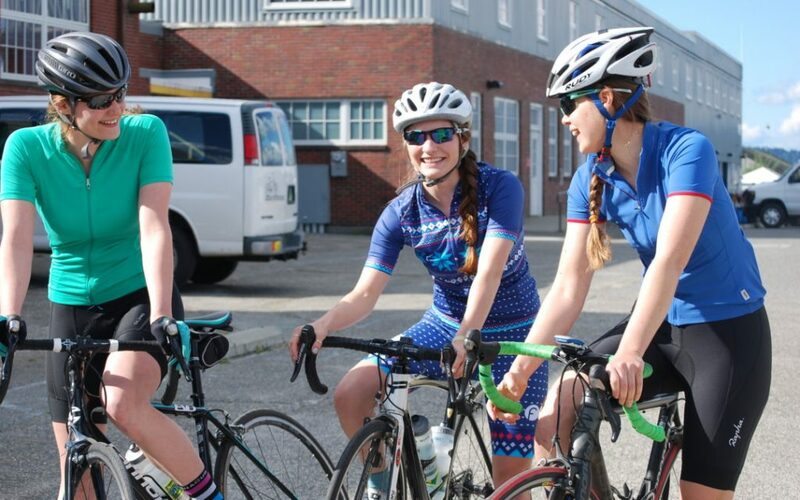 If you don’t already have cycling friends (or if you want to make more), find a local bike shop or cycling club that hosts group rides. Even if the group rides aren’t long enough for the mileage you need for your long ride, you can always add on extra before or after. Bike to and from the meet-up spot for instance. No, you don’t need fancy or expensive gear to do your first century. (I did my first century in gym shorts and a vintage road bike. True story). That said, a high-quality road bike that’s in good working shape, a comfortable saddle, and a good pair of cycling shorts can make training for a century a lot more enjoyable. A cycling computer and/or heartrate monitor also make for great training tools. You can see how far you’re going, how fast you’re going, and how hard you’re working. All of this is good to make sure you’re meeting your training goals, and also encouraging when you can see your progress. You’re training for a century. That makes you a bona fide athlete. Congratulations! Now it’s time to start acting like an athlete. That means not only doing your on-the-bike training workouts, but also taking care of your body when you’re off the bike. One of the very best things you can do for yourself is to spend a few minutes each day, or an hour a couple of days of a week doing yoga. Yoga is seriously one of the best training tools a cyclist can have. It works out tight muscles and helps counter-act imbalances that we develop sitting on a bike all the time. What else? Eat well! Now that you’re an athlete, food is fuel. Put good stuff in and get better performance on the bike. Make sure you’re eating LOTS of fruits and vegetables, plenty of lean protein, and tons of water each day. 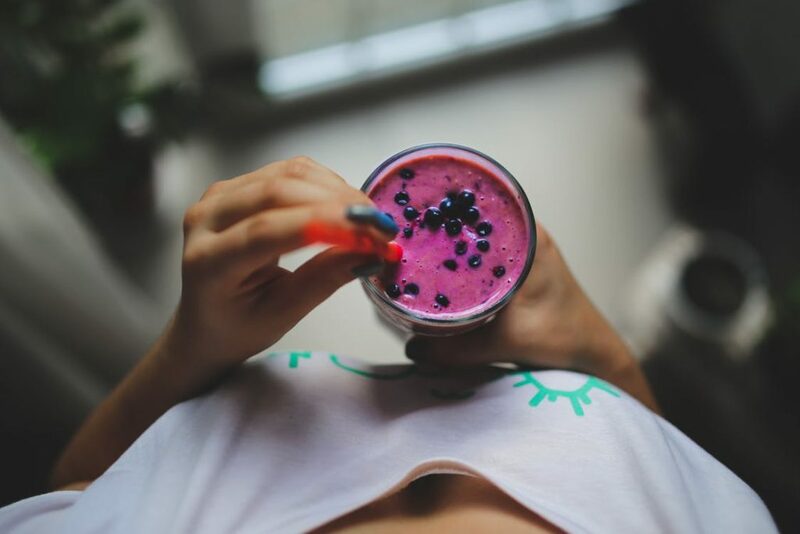 One of our favorite ways to get good nutrition while training is by making smoothies. Sleep is the next obvious performance booster. When you’re training hard, you’ll probably need about an extra hour of sleep per night than what you would usually aim for. Personally, I like 9 hours of sleep per night when I’m training for a century. Finally, address any aches and pains early on! Work on healing those saddle sores. Get a foam roller and spend 10 minutes before bed rolling out any sore areas. Take an epsom salt bath a couple times a week. Your body will thank you! If you live near the course you’ll be riding, practice doing segments of it in training. That way you’ll know what to expect on event day AND you’ll know how to pace yourself on it. If the century is out of town, or out of state, you can still train to the course. Look at the course map and elevation profile, and maybe even read the course description on the event website. 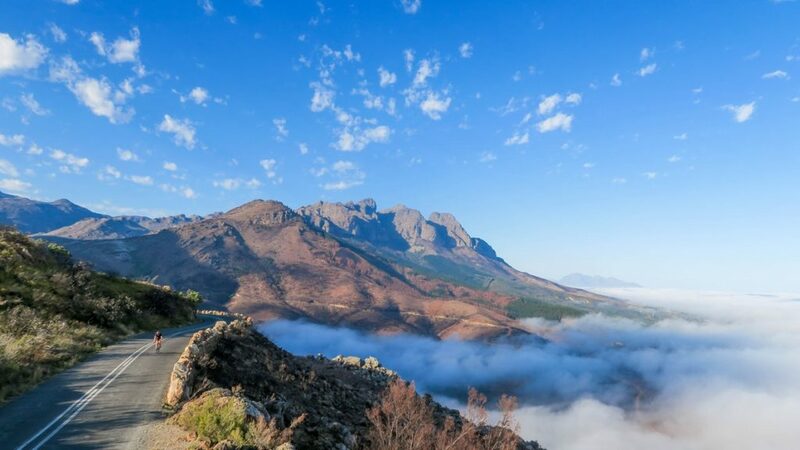 Are there big mountain passes? 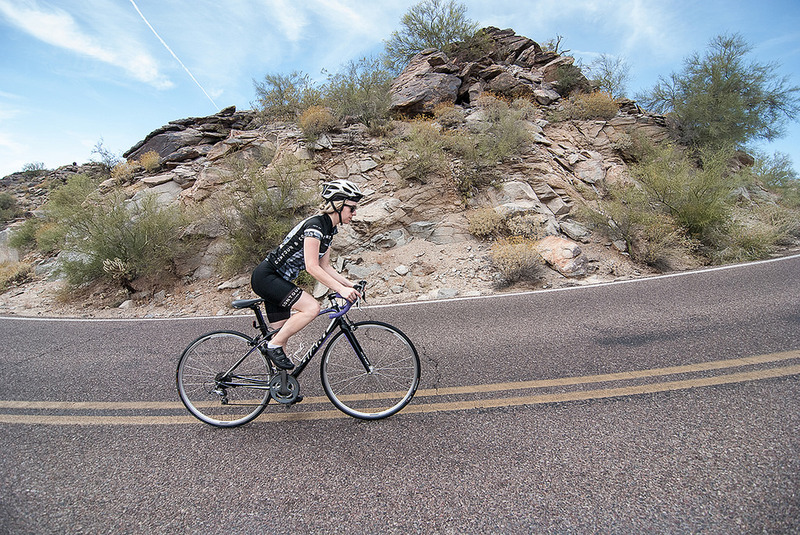 Find some long, steep climbs to practice in training. Rolling hills? Find a small hill and do hill repeats. Long, steady flats? Work on your speed and cadence. The more you can practice the kind of riding you’ll be doing during the century, the better off you’ll be on the big day. One of the best ways to train for a century ride is by signing up for some shorter events. Try a 50 miler or a 75 miler in the weeks or months leading up to your big century. Doing these shorter events are helpful for a few reasons. 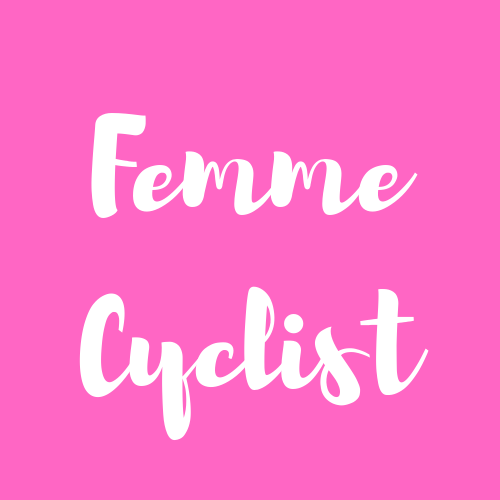 One: they are often a lot more fun than doing a 50-mile training ride all on your own. If you think you might end up skipping a long training ride, being registered for an event can help you commit. I, for one, usually poop out after about 30 miles if I’m riding by myself, but can easily ride 50 miles in a cycling event. Second: if you haven’t done any (or many) organized rides before, it will give you an opportunity to get the hang of things. During these shorter events, you’ll figure out how many water bottles you like to carry, what you like to eat, how long and often you should stop at aid stations, etc. That way you won’t be intimidated on the morning of your big century ride. You’ll already be an old pro.